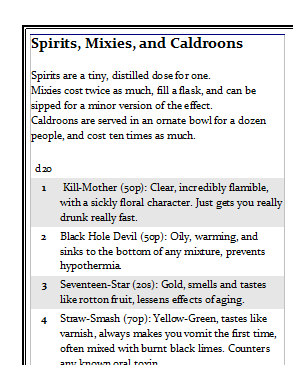 A short list of rules that won't feature as mechanics in the final version of Into the Odd. Skills - If you want to be good at something, put your high roll into the appropriate Ability Score. Perception - You get a clue, pay attention. Disarming Traps - Act carefully and work out what to do. Social Interaction - Pay attention to NPCs and work out how best to manipulate them. Individual Initiative - Players go, Referee goes. 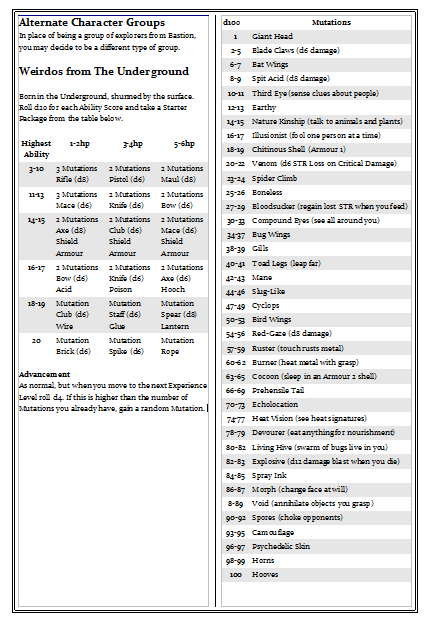 Prescribed Combat Moves - Just say what you want to do. 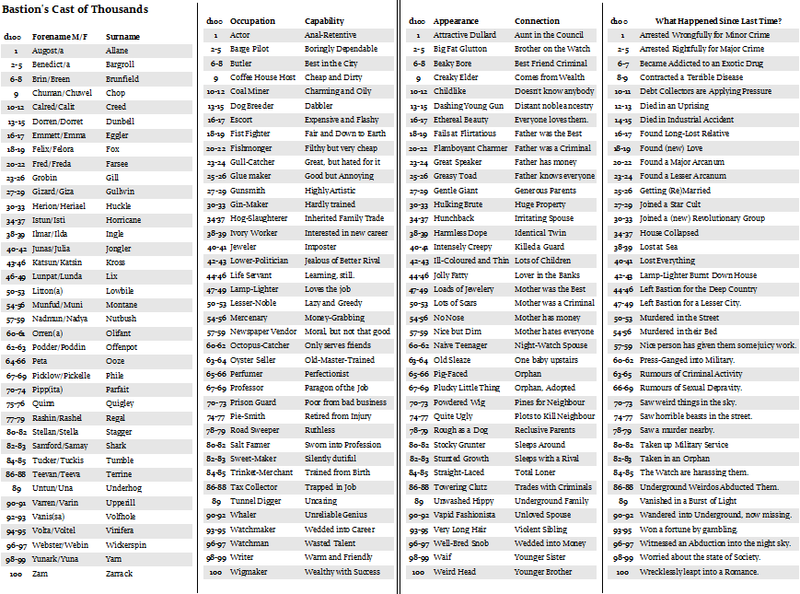 Character Backgrounds and Traits - Make one of you want but probably work it out in play. 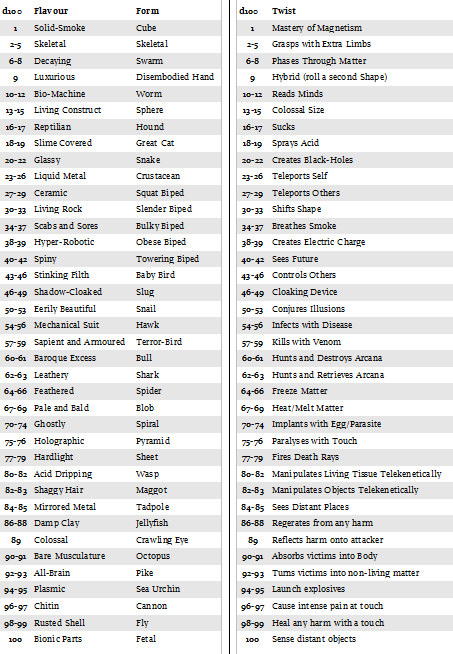 Balancing Encounters - You'll be encountering scary stuff from day one. Later on you might be able to fight them. Movement Rates - You move at normal pace unless you're on a horse or something. Encumbrance - Just don't carry too much stuff. Recently I've been getting quite a few comments from people newly discovering Into the Odd. Those unfamiliar with my previous posts might wonder what I'm hoping to achieve with this game that can't be achieved with straight D&D or a clone. I can pretty much get it down to five key points. - The game is Instantly Accessible, and players don't need any teaching before jumping into a game. Just roll your character, taking around two minutes, and say what they want to do. 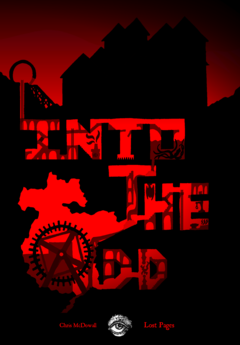 - Ultra-distilled rules that hide in the background remind us that this really is Just a Game. It's neither a painstakingly ruled simulation, nor a finely balanced tactical challenge, but a game can be brought out with friends between boardgames, or drive a weekly campaign with dedicated roleplayers. - D&D's brand of fantasy is shifted into the Horror Genre, creating more of an expectation of monsters that can't be fought and tough choices, rather than expanding your character's personal power. - Despite having a somewhat gruesome tone, this is Not About Fighting, and certain things have been carefully presented to place more focus on exploration, problem solving, and investigation than becoming a combat monster. In addition, the industrial, cosmopolitan setting, moves away from the typical medieval mindset. - There are just a few Simple Referee Guidelines to move the focus from remembering rules, to creating exciting situations and memorable descriptions. The Referee is encouraged to create their own original content throughout the game.